Hello! 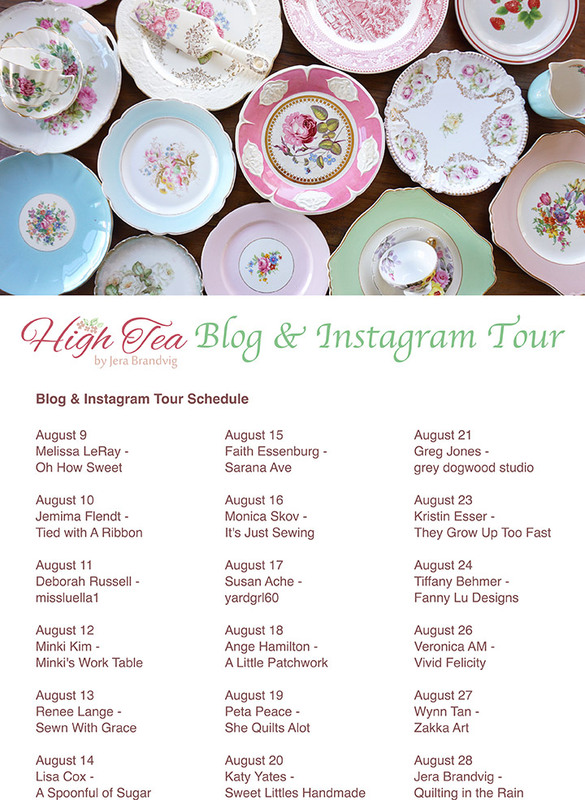 Welcome to my stop on the High Tea Party Blog Tour! This new collection by Jera of Quilting in the rain (for Lecien Fabrics) is one of my favorite new releases. 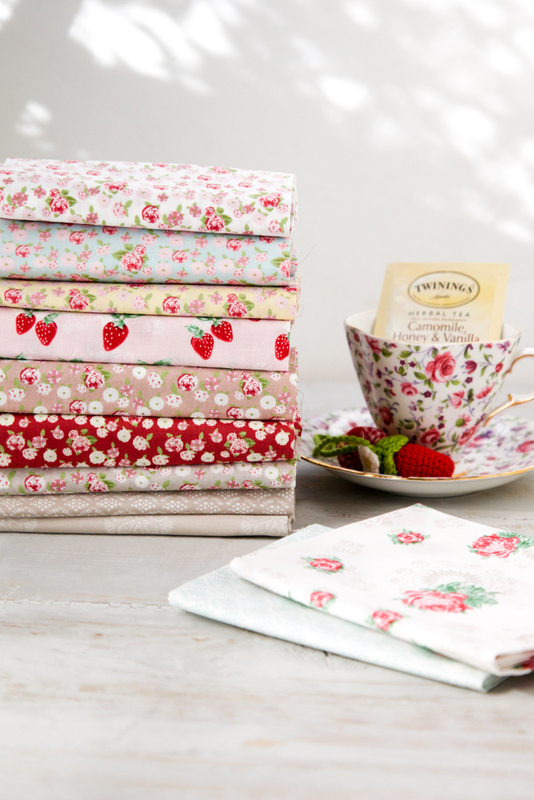 The colors are so sweet and charming with various strawberry prints and these tiny floral prints are just adorable. 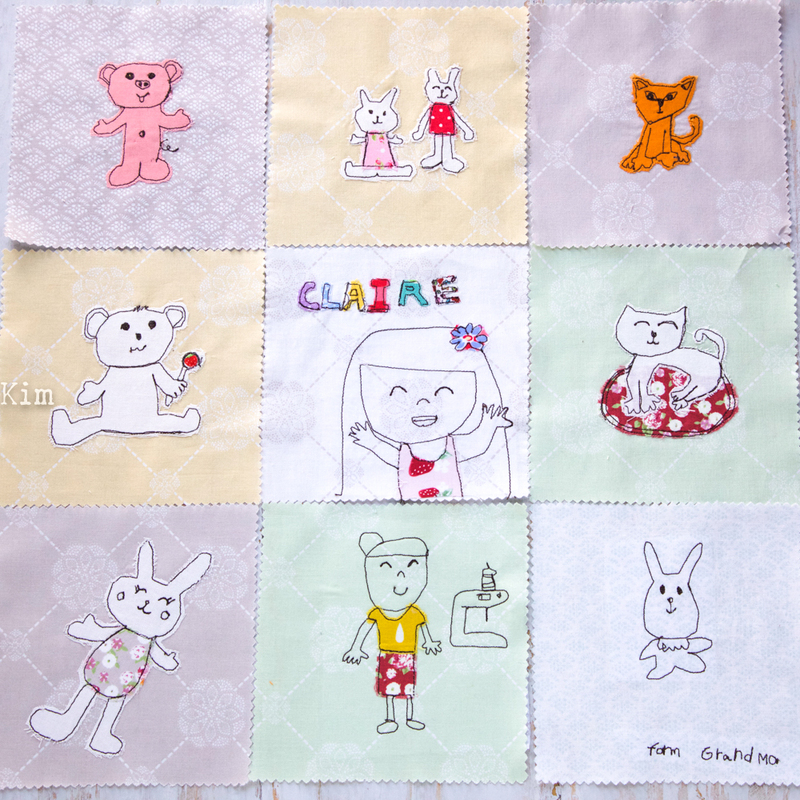 I have always wanted to make a baby quilt for my little Claire and I am so happy that I met just the right fabrics. The right end bunny is a doll our next door grandma gave her for her birthday. Believe me, that bunny looks exactly like this! And she didn’t forget to include her mama and sewing machine in her favorites. I machine stitched using Aurifl 40wt thread. I have always wanted to take this kind of picture. Your child holding the quilt and you can only see their little finger kind of picture, you know. 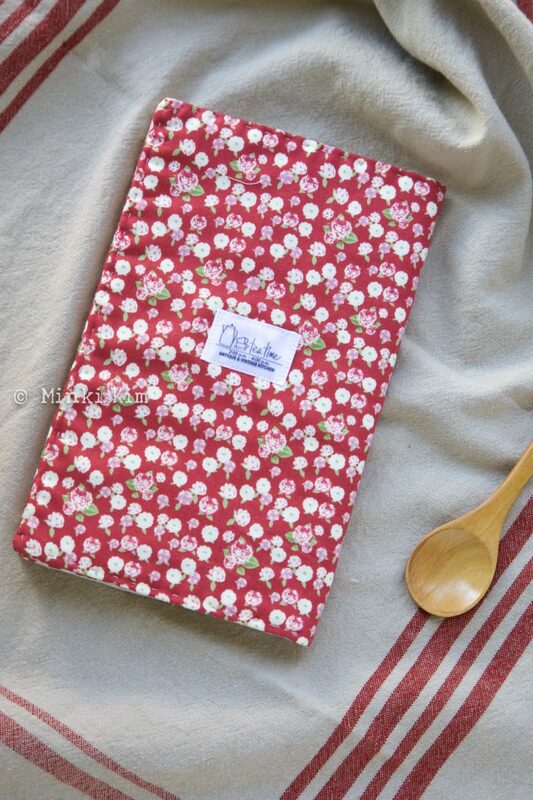 I made a recipe book cover too. This project will be in Sewing World magazine December issue. Please stay tuned for the instruction and my illustration pattern. High Tea is available now at Fat Quarter Shop and Westwood Acres Fabric. I had so much fun playing with Jera’s High Tea collection. I can’t wait to see what these talented ladies make!! Check out the schedule here. Oh, I got a very sweet email from Susan that she enjoys my blog. She made me realize that a kind word can do so big thing!! Whenever I step in your house, I alway wish I was a quilter like you. Thank you for the inspiration!! 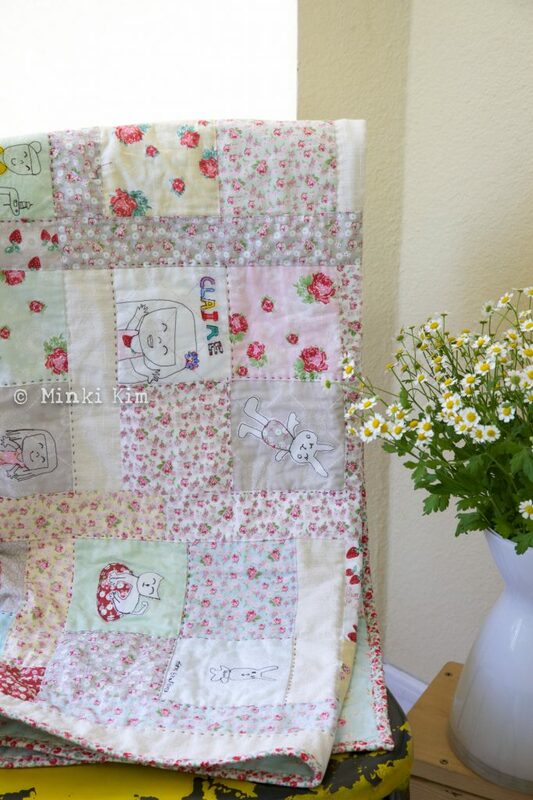 My heart just melts when I look at your beautiful quilt! With each generation this will be a treasure heirloom. 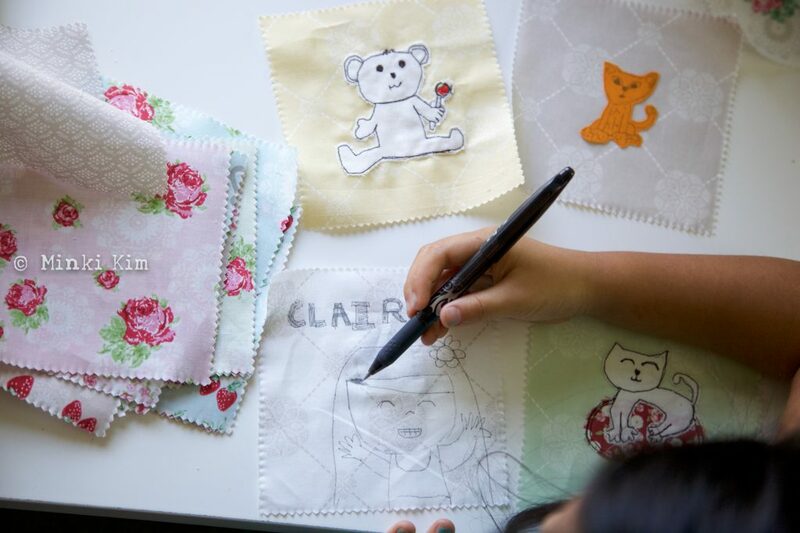 these fabrics are just perfect for a baby quilt – so sweet and pretty. 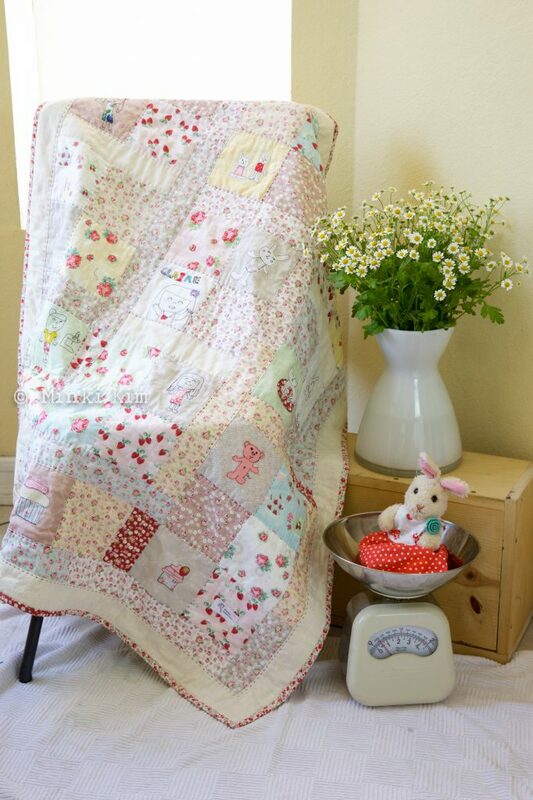 Your quilt is just beautiful and will be such a treasure in years to come. 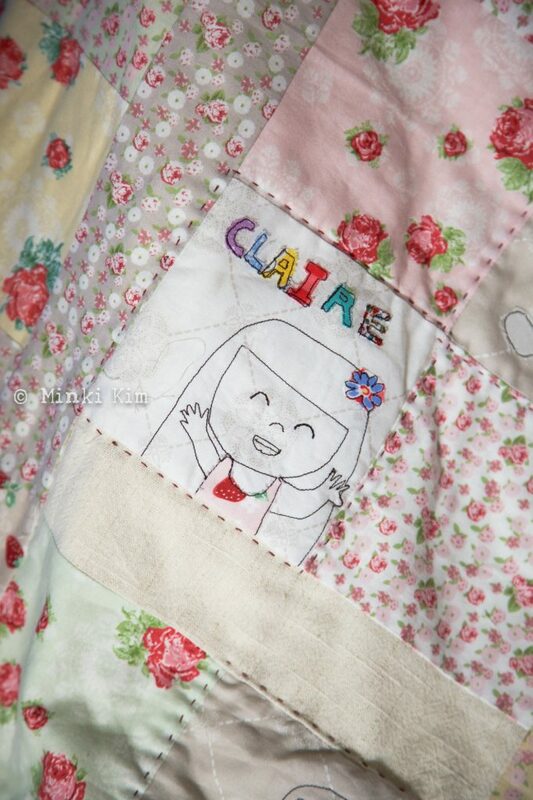 How clever to ask your little Claire to draw the patches. 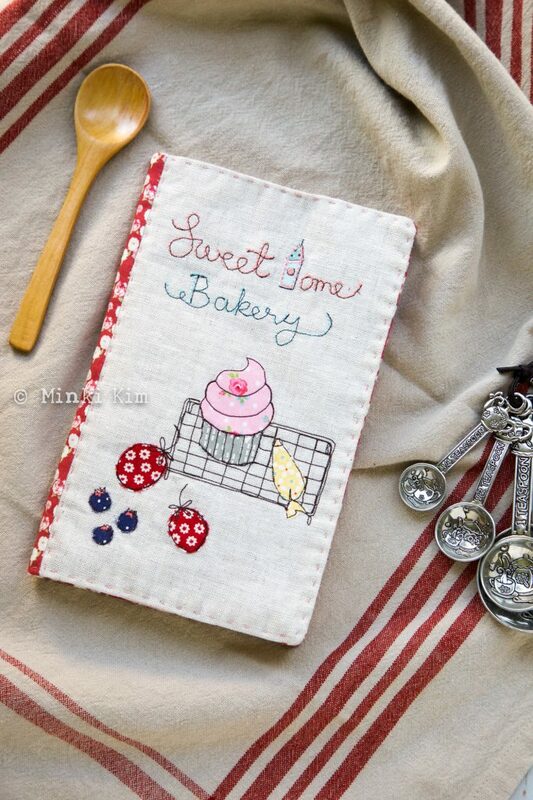 Love the recipe book cover too – adding to my Christmas gift idea file!!! 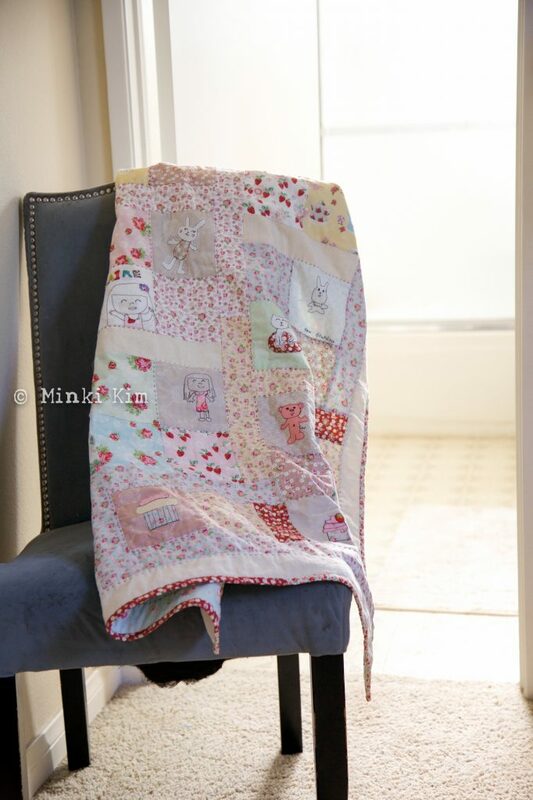 Love your quilt and of course, the fabrics too! So gorgeous and sweet! I, too, love your inspiration and the many things you create – the recipe book cover is darling! Such talent and thank you for sharing and inspiring! Thank you so much for your sweet message. I have bragged about it to my hubby and my sewing friend. This is absolutely incredible, Minki. WOW. I think I need your book now. My son loves to draw, and after i’m done working on my book i am making him a full on superhero quilt. This technique is one of a kind, and a perfect way to remember. 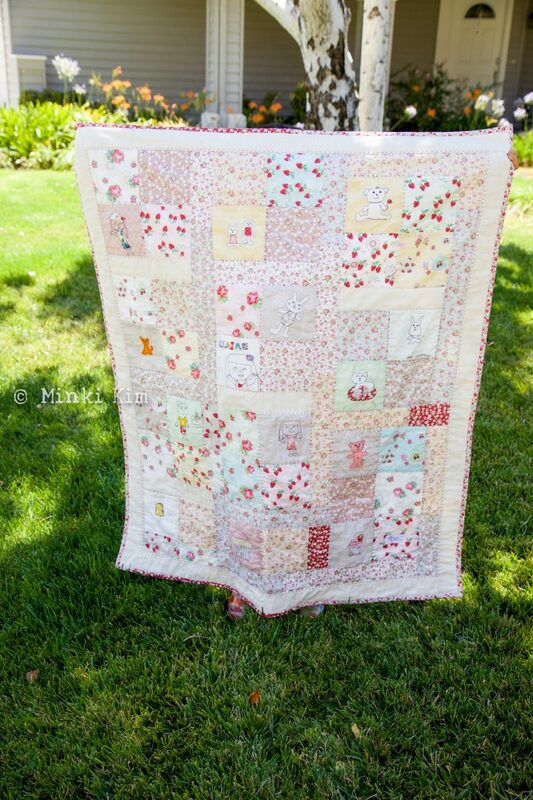 That is the sweetest quilt I have ever seen.